If the 1984 Soviet Chernobyl disaster and, more recently, the destruction of Japan’s 11 March 2011 six reactor Fukushima Daiichi Tokyo Energy Power Co. installation, proved anything to the global community, aside from frantic assertions by the authorities that the public threat was minimal, it was that radioactive pollution is a trans-national issue.The latest international nuclear spat is occurring between Sri Lanka and India over the latter’s imminent completion of its Kudankulam Nuclear Power Plant. India’s government has dismissed as “baseless” the reports here about radiation leaks at the yet to be commissioned Kudankulam Nuclear Power Plant in Tamil Nadu, saying it has a robust regulatory mechanism to ensure safe operation, with an Indian High Commission statement stating, “These reports are totally baseless. 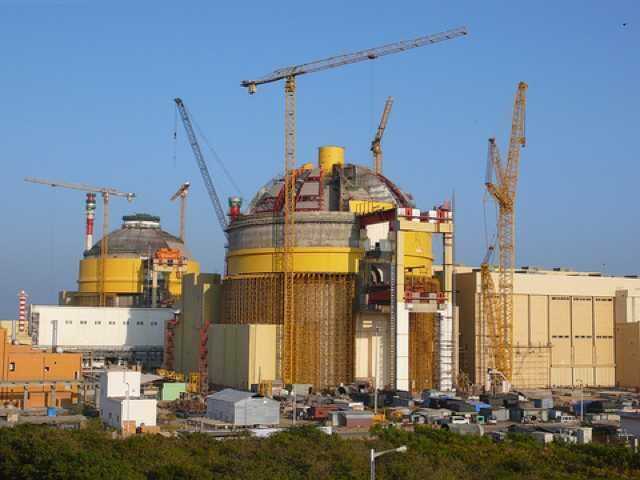 There has been no radiation leak at the Kudankulam Nuclear Power Plant. It is reiterated that safety is accorded utmost attention in Nuclear Power Plants and encompasses the entire gamut of activities associated with these NPPs,” adding that various works and commissioning tests and regulatory procedures are progressing, in line with oversight by India’s Atomic Energy Regulatory Board. The AERB reviews the various reports of performance tests and accords clearance for the next stage to ensure safe operation. The facility is a poster child for India’s desperate efforts to ramp up its electrical generating facilities. India sees nuclear power as a shortcut to alleviating its energy shortages, adding Kudankulam to its current six NPPs, containing 20 reactors which generate 4,780 megawatts, with an additional seven NPPs expected to generate an additional 5,300 megawatts. The $2.5 billion, Kudankulam NPP in Tamil Nadu state will house six 1,200 megawatt and two 1,000 megawatt reactors. Kudankulam NPP has been controversial since its inception. Last August no less a personage than Indian Prime Minister Manmohan Singh questioned India’s Department of Atomic Energy about liability for the NPP and who will pay if there is a mishap at the Kudankulam NPP. Adding to the anxieties of Indian nuclear power proponents is the fact that Singh is also India’s Minister for Atomic Energy. The question of liability also extends to one of India’s closest trading partners, the Russian Federation, whose Atomstroieksport company constructed the NPP. When in 1988 an agreement for the Kudankulam NPP was signed between India and the (then) USSR for Kudankulam’s number 1 and 2 reactors, India had yet to draft a Nuclear Liability Bill, so the contract maintained that the Indian side, as the operator, would be fully responsible for any damage caused by a nuclear incident. But the Nuclear Liability Bill legislation was passed in 2010 and provided that the supplier is also liable if the equipment is faulty. So, under the Nuclear Liability Bill, the operator, India, can claim damages from the supplier in such a case. The Russians have sought that the provisions of the pre-Nuclear Bill agreement of 2008 be extended to the next phases, unit 3 and 4, of the project as well and have brought this up at several high-level bilateral meetings, but Singh is resisting. India and Sri Lanka have an ongoing dialogue on cooperation in nuclear energy, issues including in the areas of isotope hydrology, radio-tracer studies and dam safety, and an Indian delegation is scheduled to visit Sri Lanka in the near future for the second round of dialogue on these and other areas of potential cooperation, including safety. So, obviously, nothing to see here – yet, move along.